NGU, Never Give Up. This is Davide Moretti‘s motto, something that, for him, goes with every aspect of his everyday life, both as a player and as an individual. 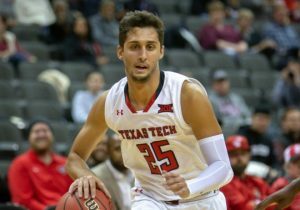 It is through this mantra that the Point Guard from Italy has became now one of the main contributors of a surprising and promising Texas Tech team. «I never settle for the kind of person I am, both on and off the court. I always try to get better. I never go to bed wondering if I improved 1% during the day». This is the kind of constant hunger that drove il Moro to obtain certain results and that allows him to have more than one reason to be happy about himself today. 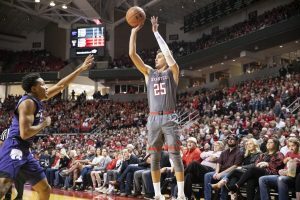 We asked him a few questions, talking about his Red Raiders, what goes on with the team and his path of personal growth. 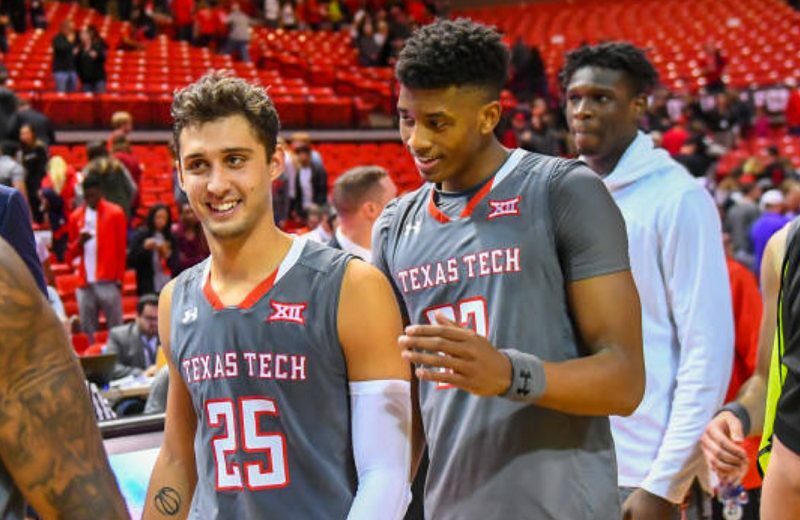 Red Raiders’ season has been almost spotless but now you have two losses in a row, with Iowa State and Baylor. Are you guys slowing down or is it just because of the level of competitiveness in the Big 12? I’d say it’s because of the Big 12, which has always been one of the toughest and most competitive conferences. It’s not nice to lose two games in a row but we’re already focused on the next game and put those two losses behind us. 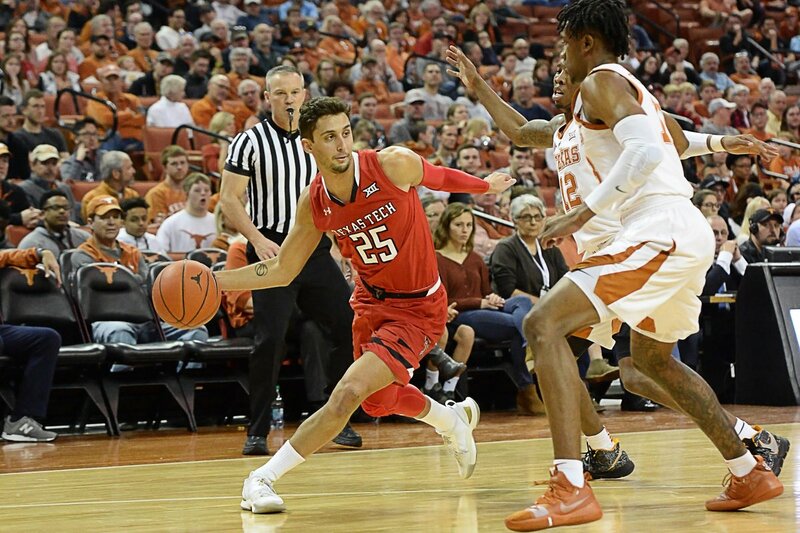 Texas Tech is one of the very best defensive teams but its offense is not on the same page. For example, you guys turned the ball over many times against Baylor: which factors could lead the team to overcome this kind of problem, so to become more efficient and consistent? We’re a very young team, a much different one compared to last year’s squad. You got to get used to our style of play. Last year, most of the players already spent at least two years together, they were more familiar with the motion offense. This year, we have plenty of freshmen and grad transfers, so to me it’s pretty normal that we had some games where we struggled on offense. We’re still a work in progress, we know where we can improve, which makes me feel optimistic. Very few people believed in this team before the season started: personally, did you actually think that you guys could become so good so quickly? What’s your secret? I have to say that we’ve done nothing yet. Yes, we spent some time in the Top 10, but there’s still a long season ahead of us. Honestly, I didn’t think that we would’ve been this good. I mean, I knew that we had plenty of talent, but I was worried about the team chemistry. I thought that it would’ve take a bit more time. We did a good job by becoming a proper team right away. We work hard, every day: that’s our method, rather than a secret. Now you’re a starter and your offensive stats have jumped significantly. Your most impressive stat, in my opinion: you went from last year’s 10% to your current 56.5% in FG at the rim. What has changed in the way you attack the basket? Three-point shooting is one of my qualities but I’ve never seen myself as just a shooter. I knew that I needed to work and to put on some weight in order to compete at this level. 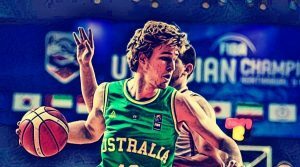 I spent last summer in the gym, day and night, working a lot on my solutions when attacking the basket. In my freshman year, I served the team: they needed a shooter and a back-up point guard, and I think I did a decent job. Defense is among those aspects that I improved the most, no doubt about it. People started to notice and I’m glad of it. It all comes with the experience, practicing with and playing against athletes of a certain kind. Your body and your reaction time both adjust to the situation, after a while. Then, you got to put work and dedication into it in order to become a good defender. 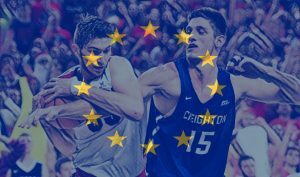 I’ve spent a lot of time in the gym working on my strength and quickness, but I’ve also spent many hours studying how European guards defend on their American opponents at the NBA level. I studied their footwork and how they try to react before the opponent moves, trying to catch that moment of reaction between attack and defense. Last year you have shown improvements during the March Madness and, now, you moved up a notch right at the beginning of the conference season: one would think that you might get bored if the stakes aren’t high enough! I’ve always approached every game like it was the most important one. Sure enough, Big 12 games and the March Madness require a higher level of effort and focus. This season, the Duke game was the only one where you’ve been in trouble in terms of physicality. If you had to face them again, what should you do to have a kind of impact that would be more in line with your current standards of performance? It wasn’t much about physicality, I feel like I just played below my expectations. There’s no doubt that there are regrets for how we played that game, for how it slipped from our hands. From my individual point of view, I feel that I have to improve my ball handling, for starters, because I didn’t expect to commit those turnovers. If we’ll ever meet them again, I’m sure that both I and the team will not commit the same mistakes. A Wall Street Journal article said that taking a charge from Zion Williamson is like being hit by a bus. Now, can you please explain how you draw that contact without a scratch? Or there were actually some scratches? Yes, I’ve read that article. Many people on twitter tagged me because they were sure that I was going to take a charge from Zion. To be honest, we even made a bet between us on the team: Coach Beard provoked us a bit about who among us was going to take a charge from Zion. I’ve never been afraid of anyone, so I didn’t think twice when I had the opportunity to draw the foul. Although, I got to say that it was a pretty hard one. Can’t deny it. I fell on the floor more violently than other times but I got up immediately. Sure, it was a hard contact, but I was already thinking about the next play. Chris Beard has achieved so much at Texas Tech that he could be a contender now for the COY. Being one of his players, what’s his main quality as a coach, in your opinion? If you had to sum up his personality in one word, what it would be? “Leader” is the first word that comes to my mind. He’s a winner, he wants to get better, to win against anybody. This is the reason why I chose to come here. I really identify with his mentality, with the way he thinks, the way he goes through the day. Like him, I’m a kind of person that couldn’t catch sleep if I’m not sure that I haven’t wasted my day. I admire him, he has all my respect. Jarrett Culver is kind of following Zhaire Smith’s path, if we’re talking about the ability to draw attention Draft-wise. How would you describe him as a teammate? What type of person is he off the court? Jarrett is the teammate I spend more time with. We had the same classes last semester, so we trained at the same time, we followed the same routine. So we got much more closer than last year. He’s a great guy, the kind of person that spends all the time working at the gym, that loves to get better. He’s really humble, never over the top. I think he’s an excellent teammate and a very likable guy. We get along great off the court, which helps us a lot on the court as well. Talking about life on campus, which is the funniest story that happened to you since you’re there? Last January someone stole my bike. It was great to have one because the campus his huge and going around on a bike was something special. Now I got to take the bus or go on foot. 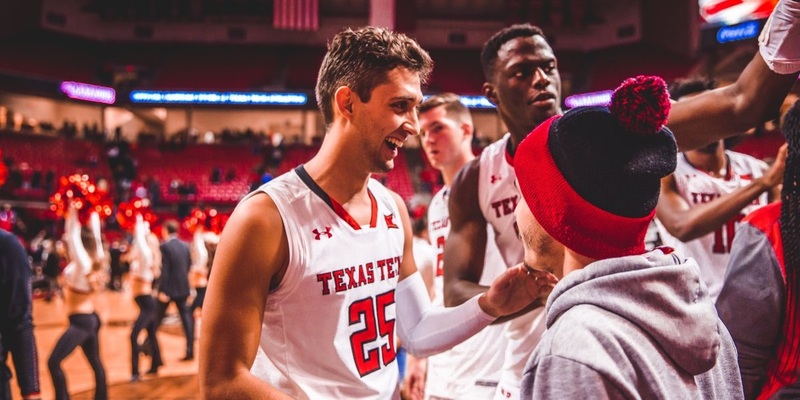 Texas Tech doesn’t have a big winning tradition in basketball but the results that you guys achieved are creating much attention and support around the team. How would you describe the current environment to someone – say, a fellow Italian – that doesn’t know college basketball? We created a truly exceptional environment. I don’t know I could describe it because I’ve never seen so much cheering for a basketball game in Italy. I was used to Treviso, a really important basketball place where the seats were full on every game, but here we’re talking about 15.000 people in the stands, it’s like three times bigger than the PalaVerde. It’s hard to make comparisons. In two years, I went from seeing 8.000 people for a non-conference game to 11 or 12.000. And these are games that sometimes we won by 30 or 40 points: people could get bored and leave, but it didn’t happen. I’m really happy and proud to play in front of such a warm crowd, one that fills the seats regardless of the type of opponent that comes here to play.